Following the week residency at Jazz Cafe, UNKLE played their first live show since their sold out performance at Somerset House last year at KOKO on September 26th. Following on from the success of single “Looking For The Rain” which was heavily played on 6 Music, UNKLE reveal their new track “Sunrise (Always Comes Around)” featuring Liela Moss from The Duke Spirit. Having curated the most successful Meltdown since the Festival began, Lavelle started putting the building blocks together for UNKLE’s fifth studio album: “The Road: Part I”. That night reignited a desire to create something fresh and innovative, music that celebrated the rich history of UNKLE, whilst at the same time looked to the future. ESKA, Keaton Henson, Liela Moss, Philip Sheppard and Mark Lanegan all performed with UNKLE that night. Little did he know that all of them would go on to collaborate with him on a new UNKLE record. In the twenty years since UNKLE’s debut album Psyence Fiction, Lavelle has been prolific. He created four studio albums with UNKLE (Psyence Fiction, Never Never Land, War Stories and Where Did The Night Fall ), a host of critically acclaimed film scores, and curated a series of art exhibitions through Daydreaming With... most notably, the hugely successful Daydreaming With Stanley Kubrick exhibition at Somerset House in 2016, Daydreaming with UNKLE Presents THE ROAD: SOHO at the Lazarides Gallery in early 2017 and Daydreaming with UNKLE Presents THE ROAD: LEEDS DOCK which took place over the weekend of June 24-25th 2017. 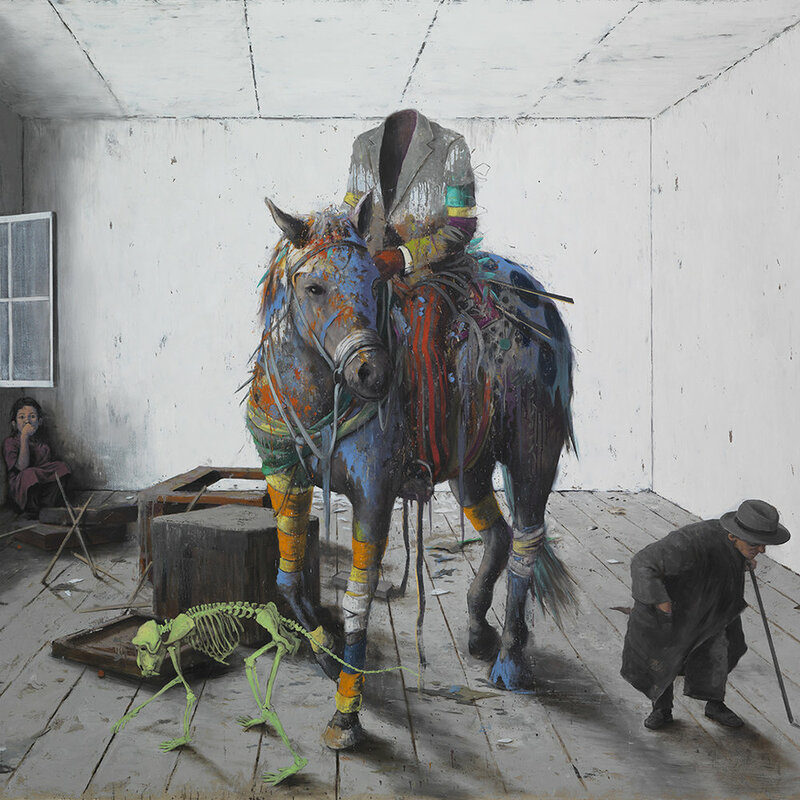 These exhibitions have partly been a celebration of 25 years of UNKLE and whilst ‘The Road: Part 1’ may be their fifth studio album, it is in many ways a new beginning.